3 tips for framing magazine covers. We are talking about a big deal here. Being on the cover of a magazine publication is huge! So simple right just go ahead and get it framed. Framing magazine covers is easy? Right? Am I going to buy the frame and DIY myself. Side note just had to use DIY I only learned the meaning a couple years ago. What color frame? Am I going to get it double matted or single? Laminate it or just use glass? Buy local or Amazon? Wait a minute!! It might be a little harder than you thought hopefully we have got your attention. In The News wants to help with a check list. 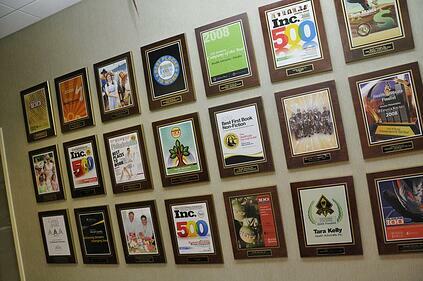 We have been mounting and preserving newspapers, magazines, and certificates for 25 years. Take this free checklist guide to ordering your framed magazine cover to use whereever you buy your frame. Let's look at our 3 Tips when it comes to framing magazine covers. Get a clean copy - Purcase additional copies you want to have some for a srap book. Call the publisher for High Resolution PDF not a reprint that will cost you 200-500 dollars but a PDF will be vibrant and useable to frame. If you have a cover or magazine article and still are not sure about our process you can get a free digital preview click our button below. all we need is the link or title of the article and we can create a digital preview to look at of your actual article framed.